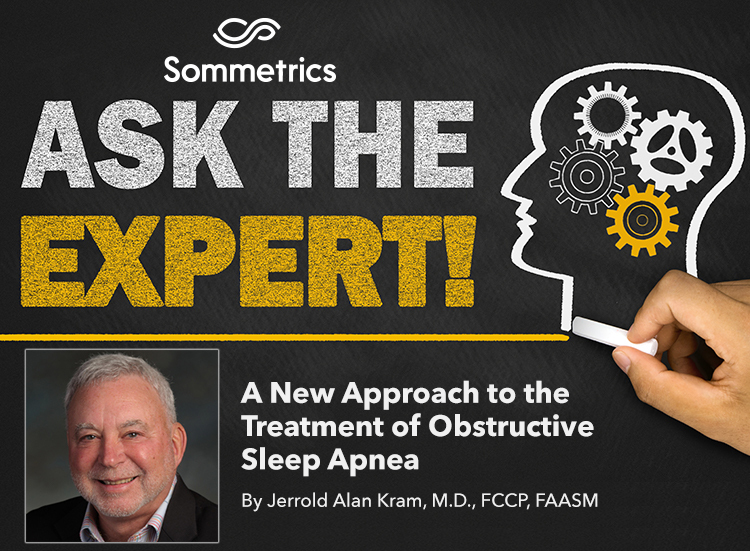 Q: Are there any new approaches to treating obstructive sleep apnea? Obstructive sleep apnea (OSA) is an extremely common condition often estimated to be present in more than 10% of all adults. It is apnea, or difficulty breathing, that only occurs when we sleep. It is attributed to a combination of a patient’s anatomy and physiology. Anatomically, many patients with OSA have narrow or crowded pharyngeal areas, but the crucial change is in the physiology. When awake, our airways are open because multiple muscles hold the tongue and jaw forward and hold the walls of the pharynx apart. Something about the transition to sleep results in a partial or complete loss of that muscle tone, resulting in narrowing or complete closure of the upper airway. Patients are essentially choking themselves. The brain protects us by causing a brief arousal or awakening. Once awake, the muscles are activated and re-open the airway whereupon the patient immediately falls back asleep, never realizing they had been briefly awake. The result is un-refreshing sleep and daytime sleepiness, or lack of focus and concentration. In addition, moderate to severe OSA has been linked to hypertension, diabetes and other dangerous conditions. So, treatment is crucial, but has proven to be a challenge. Ideally, we would have a medication that restored muscle tone to the upper airway; however, we have not yet found a medication that achieves that. So, we are left finding mechanical ways to hold the airway open. The gold standard for this is continuous positive airway pressure (CPAP), which is highly successful, but adoption of CPAP has been a challenge and estimates suggest that as many as 50% of OSA sufferers either refuse to use it or can’t tolerate it. Many are claustrophobic and it is the wearing of a mask on the face, as well as the need to be attached to a pump, that turns people away. We recently completed a study of a novel device called aerSleepTM that uses continuous negative external pressure (cNEP), now known as aer+TM technology. The concept behind this is actually based on much earlier uses of negative pressure to assist breathing. Dr. Richard Rose and his engineering colleague, Jerry Aarestad, applied this approach to keeping the upper airway open and formed Sommetrics. They have carried out studies since 2010. This study is the first to specifically show that this device can be used successfully in OSA. The aerSleep approach utilizes a soft silicone cuff that fits under the chin on the neck. A small battery-operated pump creates negative pressure, which when effective is able to stabilize the upper airway, keeping it open during sleep. In our preliminary trial, there was a high success rate in 87%, even with patients with severe sleep apnea. Thus, there is an option for treatment that avoids some of the features that turn patients off to CPAP. aerSleep has no hoses, mask or tubes and has been approved for use by Health Canada. In fact, Sommetrics recently announced a partnership with AvantSleep to distribute aerSleep in Canada to patients diagnosed with OSA. AvantSleep will distribute aerSleep in select Canadian markets, followed by a full Canadian launch in 2018. aerSleep is currently available only in Canada. Dr. Kram is the medical director of the California Center for Sleep Disorders (CCSD), and is one of the country’s most experienced sleep specialists. He began his work in the field in 1980, opened CCSD in 1983 and received his board certification in sleep medicine in 1989. Dr. Kram graduated with honors from the New York University School of Medicine and completed his internal medicine residency and pulmonary fellowship at University of California, San Francisco. He is actively engaged in programs to spread sleep expertise throughout the local medical community and is a featured speaker in professional and community lectures nationwide. Dr. Kram currently serves on the board of the National Sleep Foundation. He works with the American College of Chest Physicians and American Academy of Family Practice to develop a curriculum teaching sleep medicine to primary care physicians. 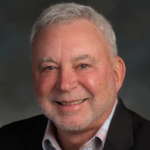 Dr. Kram is also a medical advisor on Sommetrics’ advisory board. Copyright © 2018 Sommetrics, Inc. All Rights Reserved.